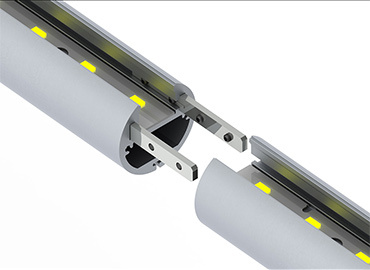 The group of aluminium LED profiles presented bellow has been segregated by the type of installation. All models presented here are adapted to be suspended from the ceiling. The body shape of our profiles contain special department to accommodate the end of the stainless cable grip. 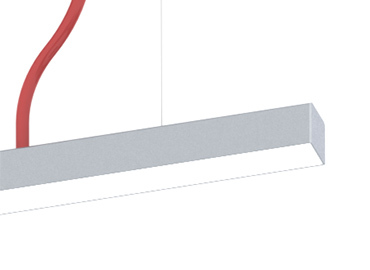 The stainless steel cable can be purchased additionally in a set with the ceiling attachment. 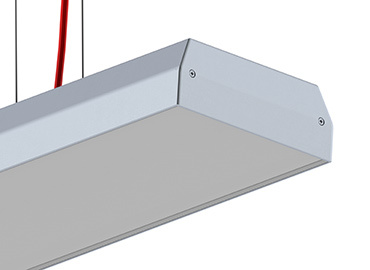 The shape and weight of the aluminum LED profile play a key role in the heat dissipation of the LEDs. All our models are made from fast heat transferring aluminum and pass certain loading tests. The thermal and optical test results as well as installation guide are presented in our product data sheet for each model. 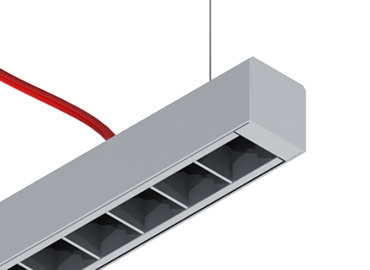 Using our LED profiles is safe for the LEDs because they are thermally and optically optimised. More details you will find in the product data sheet of certain product. To insert the power supply feeding cable into the profile, the lamp need to be drilled. 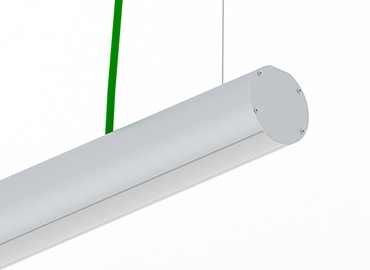 DPL70 is a new profile (70 x 90 mm) in which the light is directed both upwards and downwards. We can proudly say that DPL70 is the first profile in our wide offer, that has 3 separate chambers. 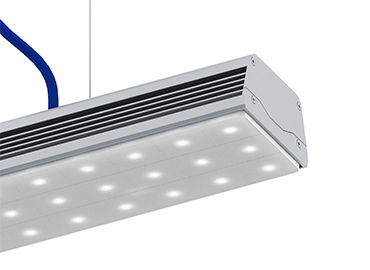 DPL55 FL is a new version of our double-sided LED profile- DPL55. 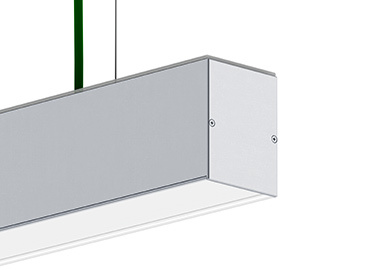 This multi-functional LED profile can be both suspended as well as installed on a surface. PL55 FL is a new version of the POWER LINE 55 profile. 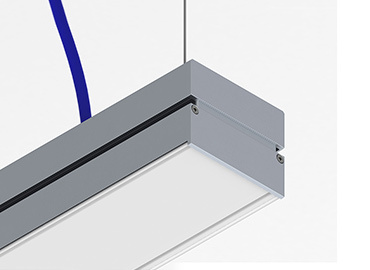 This multifunctional LED profile can be both suspended, installed on a flat surface and also built in a trimless manner. DPL35 is a two-sided profile designed for mounting LED light sources, in which the light is directed both upwards and downwards. 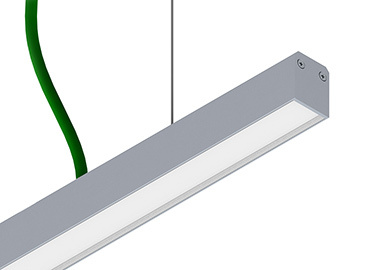 PLS33 is a high quality aluminium profile for mounting LED light sources. The anodised surface and the matching lens emphasise the quality of the product. It is a high quality, rigid and a very solid round profile made of anodized aluminum designed to be used with LED light sources. SPL35FL is a new and improved version of the popular and proven profile SPL35. 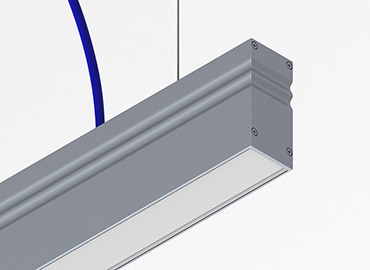 The SPL35FL profile, despite its classic appearance, has gained new functionality..
Aluminium base profile dedicated for cut edge technology provided by leading suppliers as Osram and LEDiL. SPL profile now has been updated of the aluminium louver which concentrate the light and bring the light forward with beam angle of 60 degree. 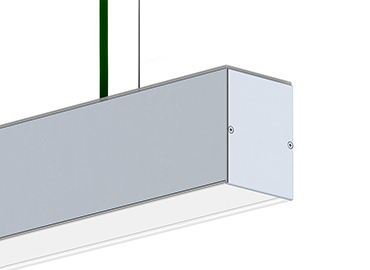 DPL55 is a new double side LED profile. 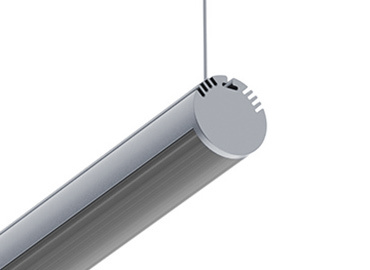 This multifunctional LED profile may be both suspended or installed on the surface. 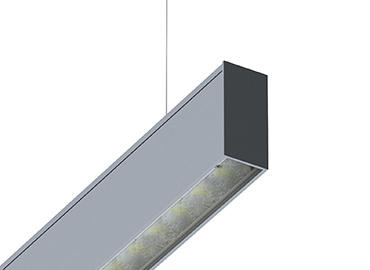 Contemporary, slim looking LED profile with a high heat dissipation capability. An extraordinary quality of the profile's surface and of the other components became undeniable benefits of this lighting fixture. Small in dimensions but substantial in weight heat sink with great heat dissipation for mid power LEDs which is able to handle up to 22W/m of the LED power and maintain the temperature stable on the level of 47'C. 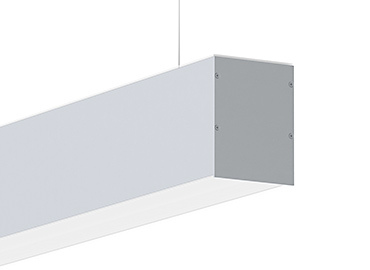 PL55 is a high performance LED DOT’S FREE profile with opal or prismatic diffuser to choose from, with three installation options: TRIMLESS, surface and pendant. 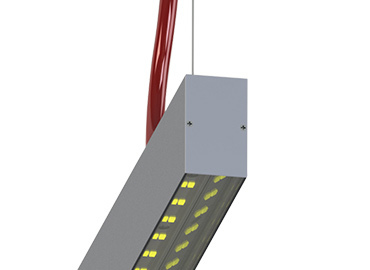 PLSD is a double side LED light profile where the light is directed both to the top and to the bottom. 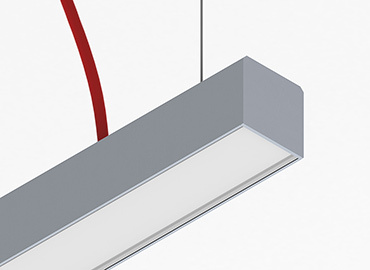 It is a LED DOT’s FREE design with two installation options: surface and pendant. 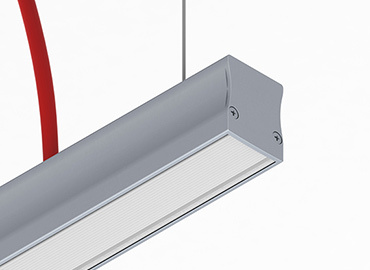 SPL 35 is mid-power LED DOT’S FREE performance profile with three installation options: TRIMLESS, surface and pendant. The profile capability of the heat dissipation is 30W/m@Ta= 25°C to maintain the temperature stable on level of 55°C. 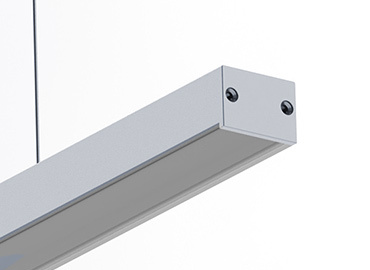 This double row, high performance aluminium LED profile is dedicated for two applications: indoor and outdoor. 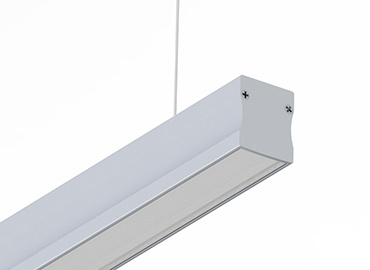 This is a high quality small (Ø24 in diameter) round shaped anodised aluminium LED profile with a rounded diffuser. It was designed for a high power LED lighting (up to 30W/m). 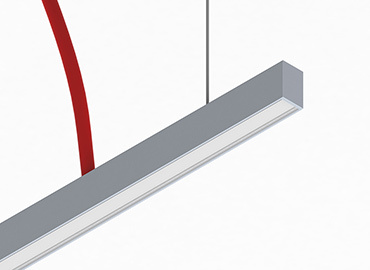 Architectural Design of minimalistic LED profile dedicated for wide LED stripes up to 18mm of wideness. The profile presents itself not the ordinary design which brings the additional value to the Architectural design at the end. 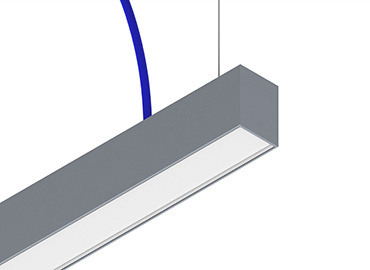 This is a small dimensions LED profile which is dedicated for standard 6mm/8mm LED stripes. 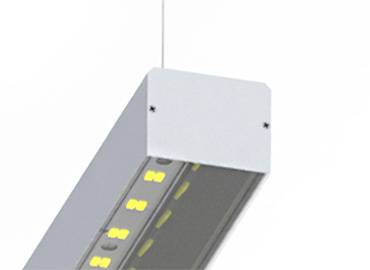 POWER LINE SLIM 30mm is high a quality anodised aluminium LED profile with a "LEDs DOTS FREE" frosted diffuser.